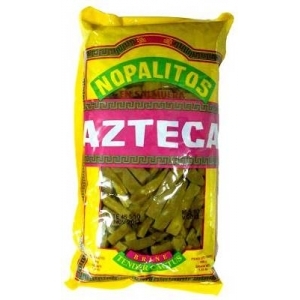 The company Azteca originated in 1991 in the Milpa Alta that is an area to the South of Mexico City. This is one of the main production areas of nopal in Mexico. Grown here every year thousand tons which means that it is an important product for the region. The needles of the Nopal are manually processed by the locals and is very labor intensive. This, of course, provides many jobs in this area. Our products you can find in a specialized store such as on internet the Mexicanshop.nl where we work closely with to achieve a good product.